Call it weird, but I love nothing more than bundling up in every blanket possible before bed. I almost always sleep in pajamas pants and a baggy old t-shirt that seems like it belonged in my high-school gym class. Add all my blanket layers on top of that, and yeah . . . you can say I sweat a lot in my sleep. No matter how much my boyfriend tries to convince me to sleep with just one blanket or in shorts, I can't do it. Maybe I'm alone in this, but I like being hot and sweaty in my sleep. A little over a year ago, we invested in a Casper mattress, and it was the best thing we ever did; I'm a huge fan. 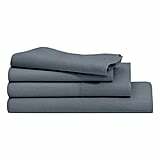 Recently, I discovered Casper now has linen sheets ($200-$230), which are more breathable than the god-knows-what material my old $20 ones are. I jumped on the chance of trying them out. 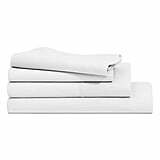 I know from articles I've written that linen sheets are much more breathable and airy and might help a sweaty person like myself. I slept so well — like one of those nights where you wake up and don't remember falling asleep. Upon arrival, I have to say, the material scared me a bit. It was a little rougher than my silky old mystery sheets. I gave them a quick wash and dry, which softened them up. After climbing into my fresh-out-of-the-dryer warm sheets, my mind completely changed and I fell in love with them. 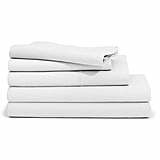 The texture was not something I was used to, but they were so cozy and lightweight and instantly felt airy. I woke up the next morning for the first time in a long time without sweat-soaked pajamas. I slept so well — like one of those nights where you wake up and don't remember falling asleep. I was so warm and cozy but not sweaty. It felt like a miracle. Even my boyfriend can't stop raving about them (and I'm the sweaty one). 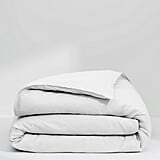 I'm already planning on picking up the matching Casper Duvet Cover ($170-$230). 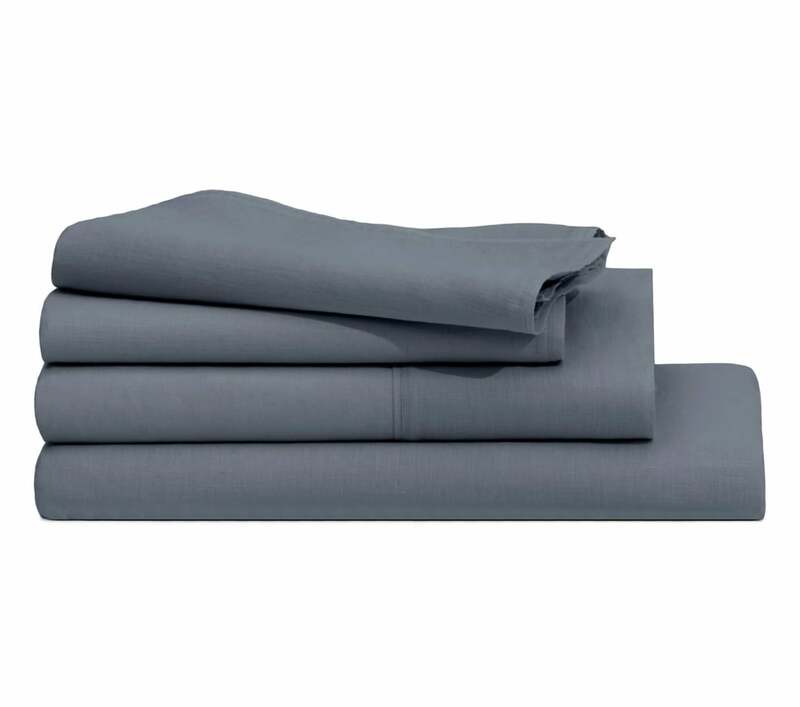 If you or your partner can relate to this sweaty story, do yourself a favor and try this sheet set. You won't regret it. Keep scrolling to shop the whole linen collection.